With a project team spread across the country—from Georgia to California to Indiana—clear and direct lines of communication were critical to the project’s on-time completion. 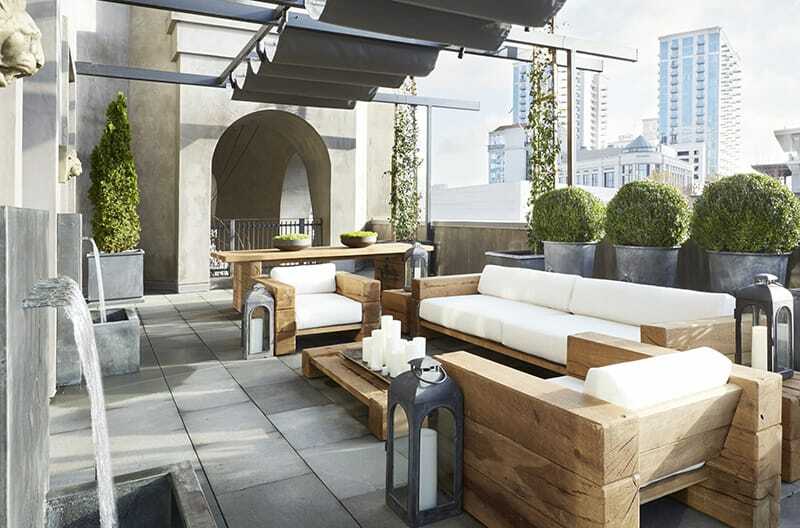 Restoration Hardware’s (RH) flagship store in heart of Buckhead, a 70,000 SF concept store, stands six stories high, plus a basement, is located on “one of America’s best known streets,” Peachtree Rd. The Design Architect, Backen, Gillam & Kroeger Architects, designed it as a “contemporary” Southern estate with high-scale Venetian-style plaster featuring two acres of gardens and terraces, granite courtyards and fountains, a 50-foot reflecting pool, an outdoor fireplace, and an 8,000 SF rooftop park and conservatory with views of the Atlanta skyline. Inside you’ll find a large atrium; a grand, 6-story, and steel staircase. With the extremely tight sight conditions and an aggressive schedule that had to meet the required grand opening date, Gilbane had a challenging project on its hands. The project’s tight schedule mandated that conflict resolution happen within a matter of hours or minutes, instead of days, therefore the team utilized live meeting technology to collaborate. The project’s wide-ranging changes created numerous utility conflicts, such as storm and sanitary lines, that ran underneath the site. Gilbane met with the subcontractor, who hired a survey crew, to determine and verify any utility conflicts. Each time the task was complete, the owner, design team, and Gilbane held immediate online meetings or conference calls to decide a path forward. Additionally 20 RH visual artists and nearly 70 tradesmen were needed to merchandise the store. In order to meet the finish store opening date of Black Friday the team worked around-the-clock shifts three weeks prior to the store’s opening. Click here to watch timelapse video. 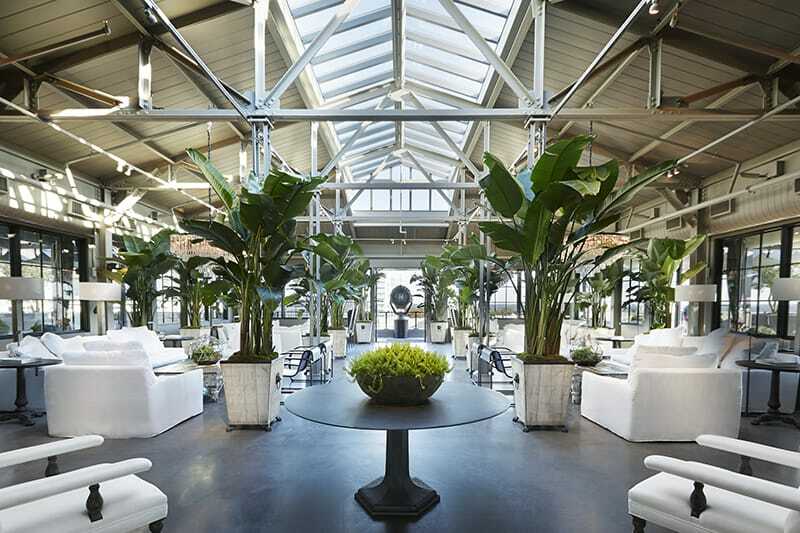 Due to Restoration Hardware’s core business—high-end retail—the level of finishes in the store required a lot of detail at the same level as their merchandise. The store’s arched ceilings had to line up perfectly with reveal on trim work, so Gilbane worked with the millworkers who developed a plywood template for the drywallers to install the same arch and in each living space. The drywallers were then able to install drywall with the same arch and level of quality throughout the store.